Welcome to Screen Rant's "Geek Picks," where we collect the finest movie-related geekery from around the Web. Today you'll find some Game Of Thrones transit maps; Teenage Mutant Ninja Turtles 2 reenacted by puppies; a Groot pendant and cosplay; Christiana Hendricks finding a job in a modern office; and Helen Miran twerking. All that and more on this edition of SR's Geek Picks! When Shredder comes back from the dead it's time for these turtle pug hybrids to save the day. Marvel's Guardians of the Galaxy - Check the Milano, Yo! 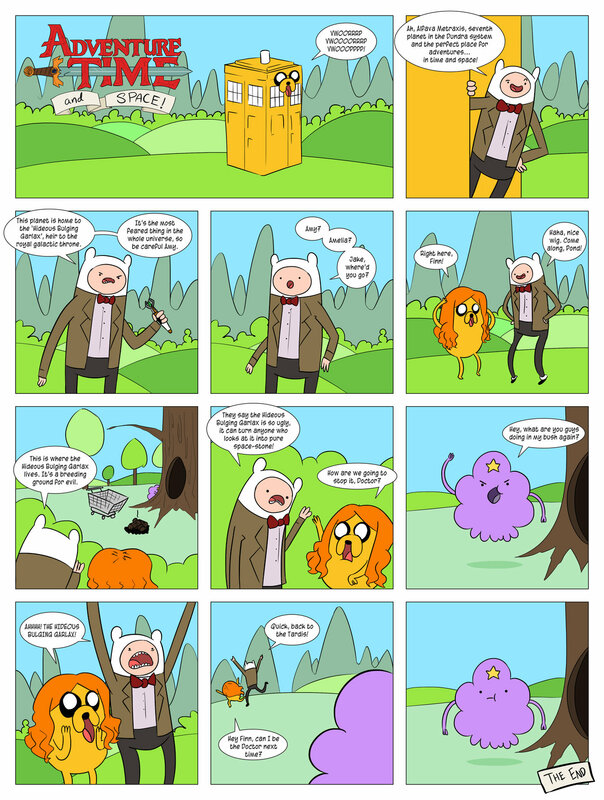 Digital artist Blizarro made this great "Adventure Time and Space" comic! They have extraordinary powers, cool costumes and a taste for justice. Inspired by the work of Cameron Booth and his awesome Transit Maps Tumblr, I created these rail maps of Westeros and The Known World. Hopefully fans will notice some small touches — the closed stations along the Wall Line, for example. Posters of the maps are available at inPRNT: Westeros and The Known World. You can also view the maps at high resolution on my Flickr: Westeros and The Known World. Today's picks have been brought to you by: CinemaSins, MichaelTyznik, FashionablyGeek, The Pet Collective, WatchMojo.com, FunnyOrDie, GeekxGirls, Marvel Entertainment, PrankMedia and mrbigfatbrowndonkey.